If you suffer from chronic headaches, you’re not alone. And for nearly one out of every 20 Americans ages 18-65, those chronic headaches are a daily occurrence. It’s no wonder so many people are in search of natural headache relief. 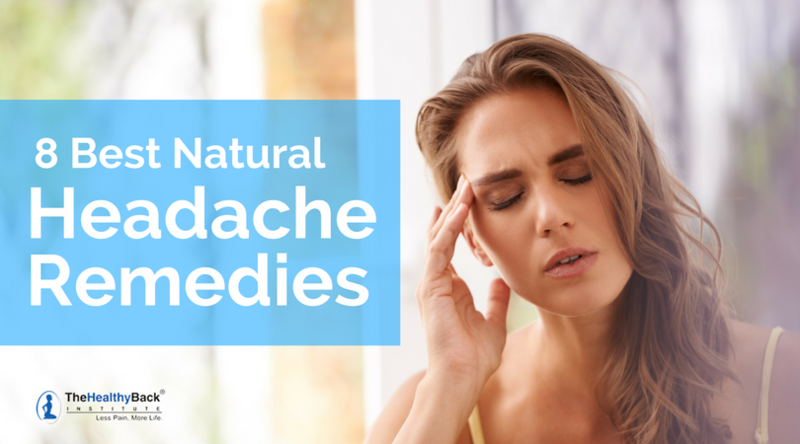 In this article, I’ll show you the most common types of headaches, how to prevent them, and share some of the top natural ways to treat them when they do occur. You’ll also learn why over-the-counter pain relievers and costly prescription painkillers may not be the best choice for everyone. The most common type of headache, tension headaches are also commonly called “stress headaches.” Tension headaches usually occur sporadically, about once or twice a month for people who suffer from them. But for some people, tension headaches can be a source of chronic pain. For 3% of American people (mostly women) these tension headaches can occur on more than 15 days a month. (ii) The pain of tension headaches ranges from mild to severe. Although cluster headaches are the least common type of headache, they cause the most severe pain. They’re called cluster headaches because they occur in groups over the course of a few weeks up to a few months. The headache pain from cluster headaches can typically be felt on one side of the head. They may go away for long periods of time, only to recur with a vengeance later on. 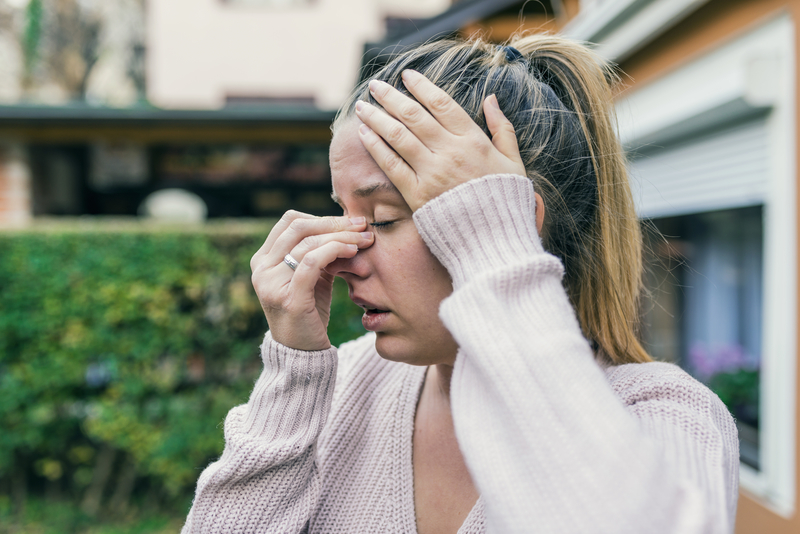 Sinus headaches are caused by inflammation and congestion in your sinus cavities and can cause pain and pressure in your forehead, the bridge of your nose and your cheeks. You’ll likely also have other symptoms of a sinus infection, such as a runny or blocked nose, fever, and pain and pressure in your ears. Migraines affect 13% of Americans(iii), with symptoms such as nausea, vomiting, pain around the eyes and throbbing in the temple area. Many migraine sufferers are also sensitive to light during migraine episodes. The pain felt during a migraine is caused by the dilation of blood vessels in your head. The key to ending headache pain in the long-term means avoiding what causes your headache pain in the first place. Our environment is full of headache triggers, including chemicals in our foods and beverages, and toxins in our body and the air we breathe. Stress and anxiety can bring on headaches, as can a lack of sleep. To bring your body back to a balanced state, eliminate as many stressors and toxins as possible. For some people, this means a major lifestyle change. Common culprits include cheeses such as Brie, feta and Gorgonzola, pickles, chocolate, dairy products (goat as well as cow), alcohol (beware the notorious red wine headache), processed meats (bologna, pepperoni, salami, hot dogs, etc. ), raw onions, peanuts, raisins and products (like Chinese food) that contain monosodium glutamate (MSG). You should also be cautious about foods that contain high levels of tannins. That’s the compound that gives red wine its dry taste (and many people headaches). But tannins are also found in foods you might not suspect, such as red-skinned apples and pears. Pay attention to the timing of your headaches, too. Do they tend to happen at certain times of day? Certain times of the year? if you have allergies, you may find your headaches are more common in the spring during hay fever season. Finally, take a look at your overall mental state. Are you plagued by stress and anxiety? Do you suffer from depression? Researchers have found that depression is linked to several types of chronic pain, including severe headaches (both migraine and non-migraine) and lower back pain. Over-the-counter painkillers are generally the first line defense in the multi-billion dollar headache relief market. As I mentioned above, these pain relievers can actually cause headache pain. When they DO work, the pain relief is only temporary. They don’t “cure” you of chronic headaches… they just mask your symptoms. Over-the-counter pain relievers carry significant risks for your health when used regularly. They’ve long been known to increase the risk of heart attack and stroke. In fact, every year the warnings seem to get more dire. Even the FDA is taking the risks seriously, adding a stronger warning label to NSAIDs. Your other over-the-counter pain relief options aren’t risk-free, either. Acetaminophen (Tylenol) can cause liver damage. And aspirin can cause ulcers and bleeding. And because it’s a blood thinner, you have to be extremely careful if you’re on any prescribed blood pressure medications. Despite what your doctor tells you, the type of headache you have is less important than choosing a multi-pronged approach to returning your body to its natural, balanced state. When your body is in balance, headaches of any type are less likely to occur. The best way to treat headaches is to prevent them in the first place. Along with identifying your personal headache triggers, here are a few tips to keep headaches at bay. If you’re dehydrated, your digestive system, lungs, liver and kidneys can’t do their jobs as effectively, and this can lead to headaches. Drink plenty of water every day to help your body clear toxic build-up. Water cleanses the colon, flushes the liver and kidneys, and empties the bowels. I recommend at least two quarts of bottled or filtered water daily. Please note: tea, coffee and carbonated sodas, all of which contain caffeine, don’t count towards that total. Neither do sugar-filled fruit drinks. To reduce tension and tightness in the shoulders, neck and back, which can lead to headaches, see a massage therapist or do daily gentle stretches. A chiropractor can work with misalignments that can occur as a result of constantly tensed muscles. I also recommend meditation and deep breathing to quiet the mind and relax the body’s nervous systems. Stress, anxiety and depression can all lead to headache pain. Others benefit from tai chi, yoga, qigong or other gentle exercises that stretch the body and soothe the soul. Find whatever stress releases work for you — it could be walking, biking, ice skating or whatever. Don’t underestimate the connection between poor posture and headache pain. Poor posture can lead to “knots,” also known as trigger points, as well as muscle imbalances. These can cause headache pain. Be sure to check out these articles on Trigger Point Therapy and Muscle Balance Therapy™ to learn more. In addition to stress relief, deep breathing ensures a continuous flow of fresh oxygen into your body. Many people breathe shallowly, which means they don¹t take in enough oxygen. To get more oxygen into your system, I recommend progressive relaxation. Lie down comfortably with your arms at your sides, and inhale as you tense your toes. Hold for a moment, and then exhale as you consciously relax them. Gradually and slowly continue up the rest of the body, mindfully tensing and relaxing your feet, calves, thighs, etc. as you inhale and exhale. Everyone knows we get cranky and suffer from headaches when we don’t get enough sleep. To prevent headaches, it’s essential to establish deep and constant sleep patterns. 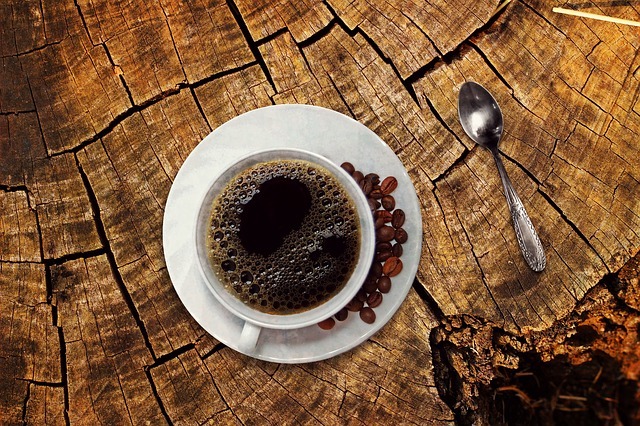 Avoid caffeine six hours before bed, as well as overly stimulating activities such as intense exercise. Stop working at the computer at least an hour or so before bed. Instead, establish a regular, soothing routine, such as a warm bath and a good book before hitting the sack. Correct sleeping posture is also important for headache prevention. After three weeks, the body forms a habit. At first, you will probably find that your body will shift into your “normal” sleep position. But if you readjust when you wake, you are training your body to get used to sleeping in the correct position. You’re also ensuring that you are in the correct position for at least part of the night. Exercise reduces stress, releases endorphins (your body’s natural painkillers), improves blood flow, works through muscle tension and keeps the body firm and supple. Engaging in simple, regular activity such as brisk walks and simple stretches will go a long way toward preventing headaches, as well as improving your overall health. Exercise at the same time every day. Buddy up with a friend or group for accountability and support, and consider a trainer (if only for a few sessions) to help you establish a safe, personalized program. Even very easy, do-it-yourself stretches are beneficial for headache prevention. For example, try the chin-to-chest. To stretch and release tension in the shoulders and upper back, use your hands to gently push the back of the head forward to the chest. Repeat several times daily. 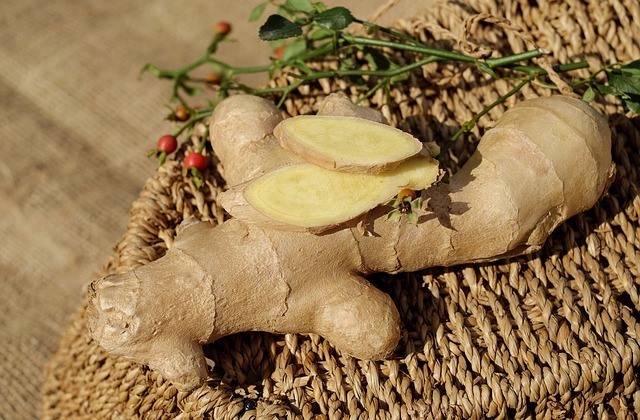 I like making ginger tea with fresh ginger root (or you can buy pre-made teabags) and using ginger when I cook, but it’s also available in many supplements, often along with other pain-relieving natural ingredients. A recent study from Finland shows that vitamin D is effective at preventing chronic headaches. (viii) Researchers followed 2,600 patients for five years. Nearly 70% were deficient in vitamin D. At the end of the study, they determined that the patients with the lowest vitamin D levels had at least double the number of headaches as those with the highest vitamin D levels. The best way to get vitamin D is by sitting out in the midday sun without sunscreen, but many people also need supplements to keep their vitamin D levels where they should be. Magnesium is necessary for hundreds of biological processes, But one of its main jobs is to tone blood vessels. Researchers have found that certain kinds of headaches are linked to blood flow and problems with pressure in the blood vessels. Foods like bananas, avocados, and leafy green vegetables are all rich in magnesium. Magnesium supplements are also available. Several of the B vitamins have been shown to be effective at preventing the frequency of migraines and other chronic headaches. Several of the B vitamins have also shown to help reduce stress, a common headache trigger. 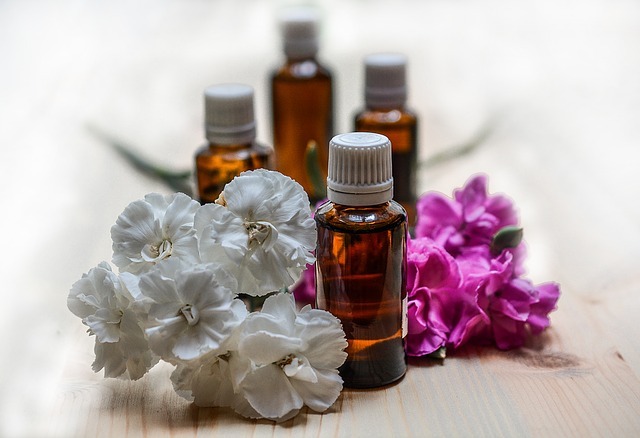 Essential oils like lavender oil, peppermint oil and eucalyptus oil have both calming and numbing effects. You can use them in a diffuser or create a rub-on pain formula by mixing a few drops of these essential oils with a carrier oil like olive, grapeseed or coconut oil. There’s no right or wrong choice when it comes to choosing cold or heat therapy to soothe headache pain. It comes down to personal preference — whichever provides you with the most pain relief. Ice packs (wrapped in a cloth) or a cold compress can have a numbing effect, which may lessen your pain. Heat reduces muscle spasms and stimulates blood flow through your blood vessels. This method also has a physiological effect on the way your body handles pain. Heating pads are a great option for pain relief of all kinds, including headache pain. Some people find they get the most relief by combining cold and heat therapy. i “Why Frequent Headaches Hurt.” WebMD (webmd.com) Accessed Oct. 23, 2018.
ii “Tension Headaches.” WebMD (webmd.com) Accessed Oct. 23, 2018.
iii “Migraines Statistics.” Migraine.com (migraine.com) Accessed Oct. 23, 2018.
iv “Rebound Headaches.” WebMD (webmd.com) Accessed Oct. 23, 2018.
vi Varkey, E. “Exercise as migraine prophylaxis: a randomized study using relaxation and topiramate as controls,” Cephalalgia. 2011 Oct;31(14):1428-38.
vii Maghbooli, M., et al. “Comparison between the efficacy of ginger and sumatriptan in the ablative treatment of the common migraine.” Phytother Res. 2014 Mar;28(3):412-5.
viii Virtanen, J., et al. “Low serum 25-hydroxyvitamin D is associated with higher risk of a frequent headache in middle-aged and older men.” Scientific Reports 7, Article number: 39697 (2017). ix Lipton, RB. et al. 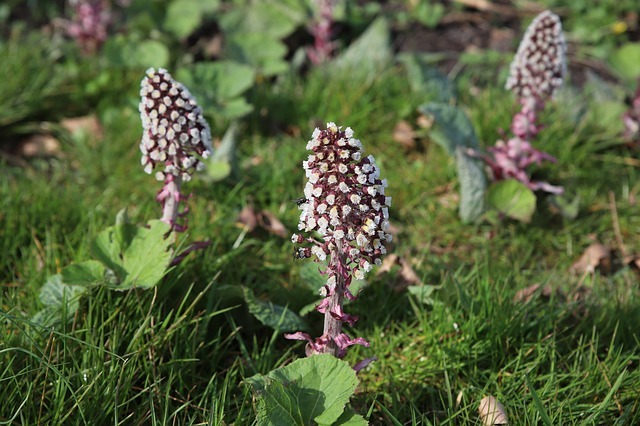 “Petasites hybridus root (butterbur) is an effective preventive treatment for migraine.” Neurology. 2004 Dec 28;63(12):2240-4.
x Mauskop, Alexander & Varughese, Jasmine. “Why all migraine patients should be treated with magnesium.” J Neural Transm (Vienna). 2012 May;119(5):575-9.
xi Burks, TF et al. 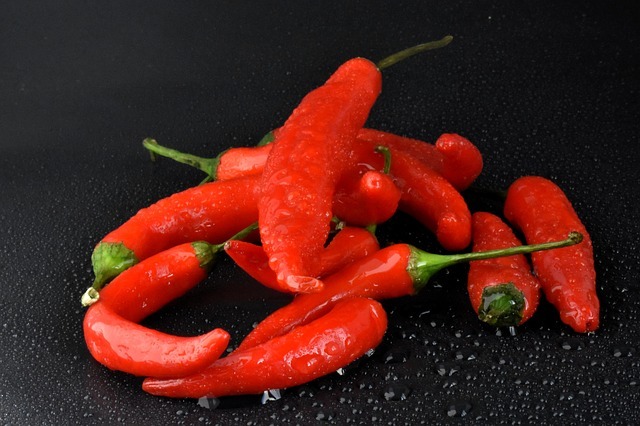 “Mechanisms of depletion of substance P by capsaicin.” Fed Proc. 1985 Jun;44(9):2531-4.